Banbury station, pictured just after sunrise on 19 September 2009. 168110, along with an unidentified Class 165, pulls out with the 2R01 06:10 High Wycombe to Birmingham Snow Hill Chiltern Railways service. 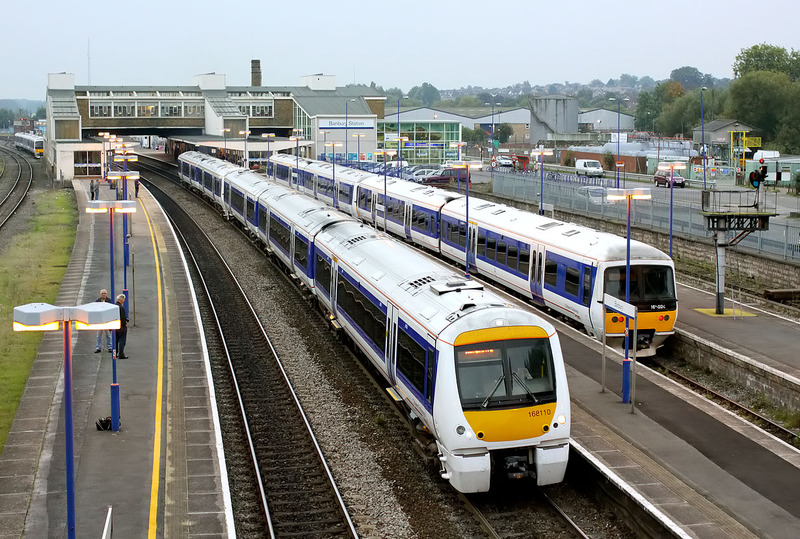 A pair of Class 165 units (165024 nearest) are parked in the bay platform.